There’s nothing that beats fresh from the oven cinnamon rolls. They’re so warm, soft and delicious. And that wonderful smell that fills your home and wakes you right up is the best. Cinnamon rolls are a wonderful treat that I especially love to serve my family when we have company. It’s s something I can make early in the morning and everyone can come and eat when they’re ready. 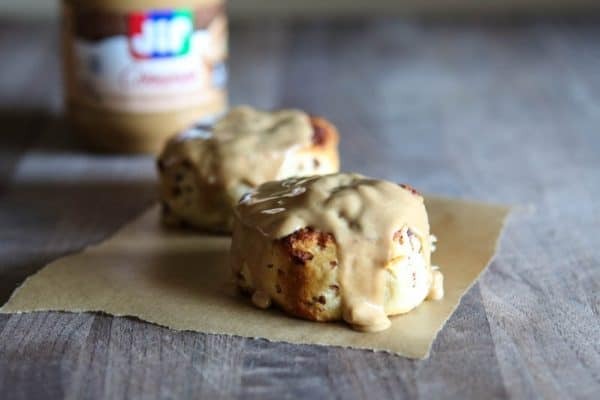 For these cinnamon rolls, I used Jif Cinnamon peanut butter spread instead of the included icing. They turned out absolutely perfect. The peanut butter melts the same way over the common rolls that the icing does. 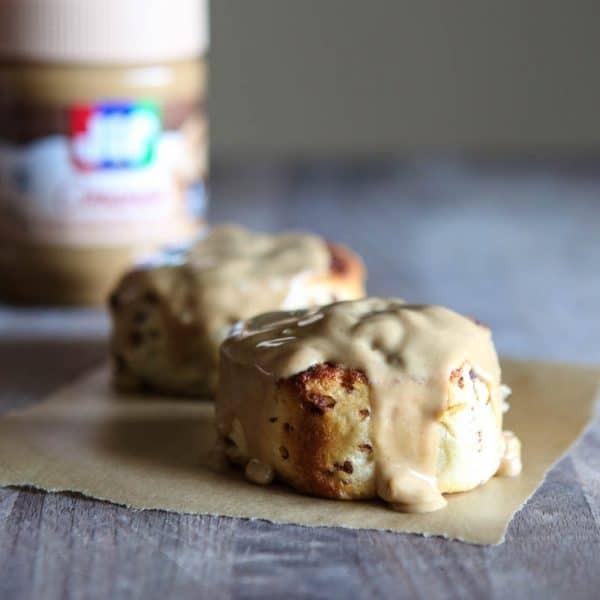 Because breakfast is the most important meal of the day, it’s time to give peanut butter a permanent seat at the table. 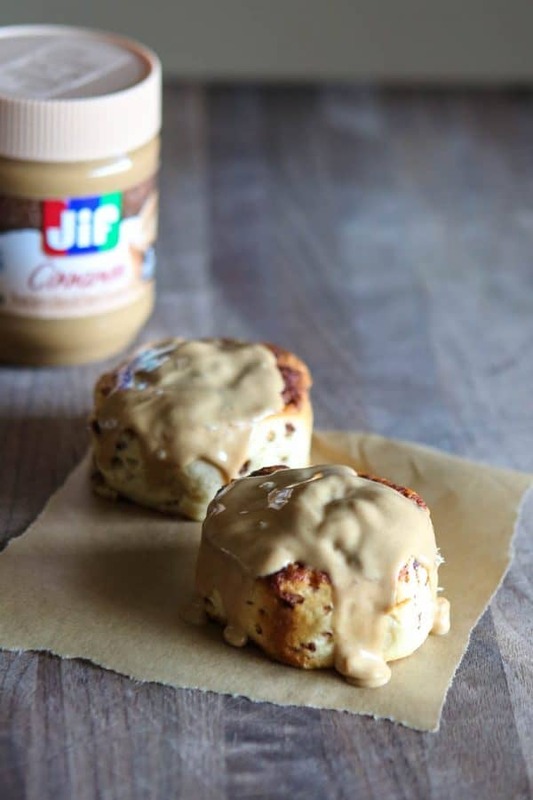 With NEW Jif Breakfast Spreads, you can turn simple breakfasts like cinnamon rolls into something a bit more healthy. That’s because Jif Breakfast Spreads have 7g of protein per serving. These spreads are a tasty and satisfying addition to any morning routine, whether it’s simple toast or irresistible cinnamon rolls. Bake cinnamon rolls according to package directions. After removing them from the oven top with JIF Cinnamon Peanut Butter instead of icing. Let melt over cinnamon rolls and serve. 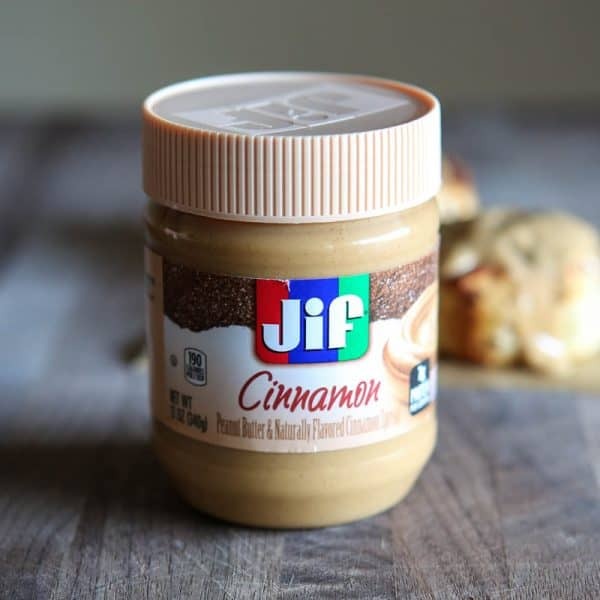 This post sponsored by JIF. All thoughts and opinions 100% mine. I can’t say no to cinnamon rolls. Just wow that icing!